Today we bring to our blog an article for our category of digital strategies, specifically today we will talk about the agile methodology and its application in the digital transformation . 1.1 Why is it important to adopt agile thinking today? 1.2 How to create an agile environment for teams? When most people refer to an agile methodology , they tend to think of constant improvement, flexibility, increasing speed and increasing efficiency in order to accelerate business results. After all, agile methodologies create more space for learning, enable significant improvements and increase creativity to achieve the required results. The idea of agile is not only related to a particular mentality. It is rather a whole working methodology that can be used to accelerate the digital transformation within a fast and highly competitive customer-centric environment. Organizations seeking to create a digital landscape that allows their teams to work efficiently must think of agility as the adoption of technology along with a “test and learn” culture. In addition, it involves constant adaptation to the small changes and challenges posed by a market, facing small problems and projects, in order to achieve long-term business objectives. Why is it important to adopt agile thinking today? According to a series of surveys, about 98% of participants state that agile projects have allowed their organization to experience a certain degree of success. 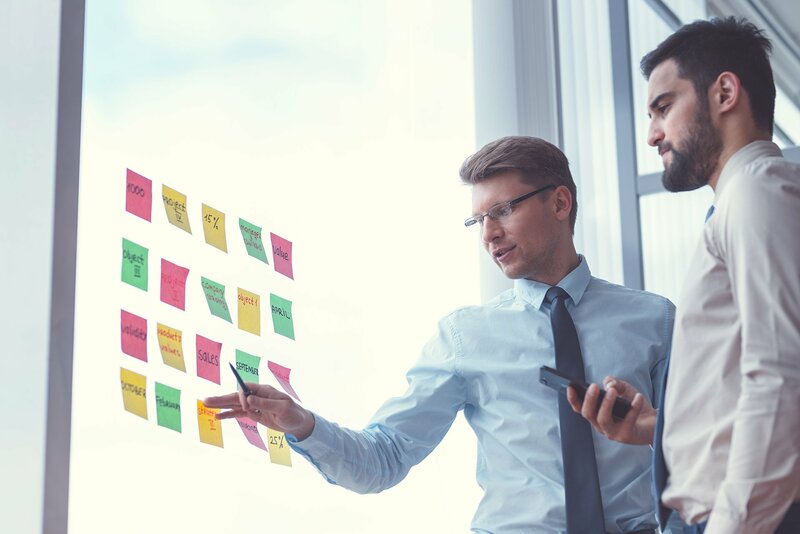 The main benefits of agile methodology cited by them included greater measurability, better prioritization of tasks, higher productivity, better business/IT alignment and higher market speed. In addition, it has also been experimented to raise team morale, reduce project risks, improve software maintenance and make engineering more efficient. How to create an agile environment for teams? A company that considers agility as a serious requirement and focuses on innovation has to break a series of internal silos. An organization could work towards achieving agility by fostering a greater amount of collaboration and leveraging the skills of multifunctional teams. In addition, it is important to allow teams to work on customer-centric projects and measure overall impact, with constant and gradual improvement over time as the main objective. It is therefore extremely important that teams throughout the organization remain focused and flexible, especially when it comes to prioritizing tasks over a shorter planning cycle. In the meantime, transparency is also extremely crucial, especially with regard to achievements, overall activity and objectives. An organization that focuses on its customers seeking to adopt innovation and agility has to employ the right technological landscape to improve the leverage of the right data, and create a solid environment for ‘test and learn’. In addition, improved streamlining of processes would be equally vital. Such an ecosystem requires the unification of operations and the development of multifunctional working modes to reach the market effectively. Regardless of the hype, opportunity and momentum surrounding agility, only about 35% of organizations claim to have been able to implement a common framework. The biggest challenge here results from little experience in agile methodology, and lack of management support. In next articles we will talk about more concrete agile methodologies such as SCRUM or KANBAN and their way of implementation and benefits in the digital transformation.